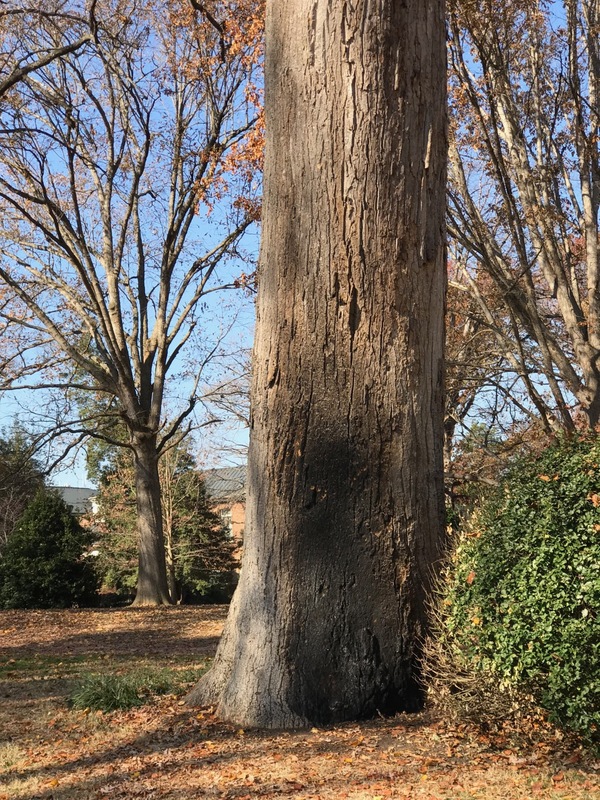 On November 2, 2017 a former student set fire to a UNC Chapel Hill campus landmark, the Davie Poplar in McCorkle Place. 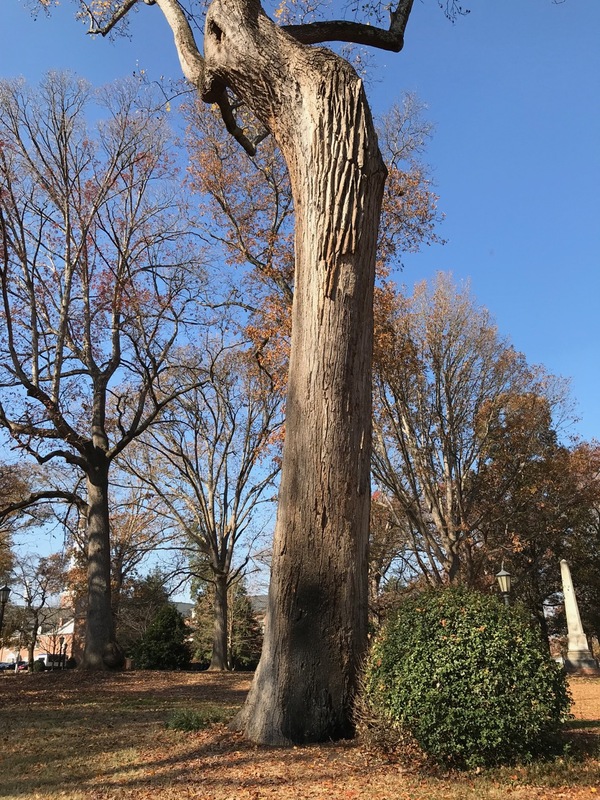 The 300-375 year old tulip poplar was named in honor of Revolutionary War general and university founder William Richardson Davie. The tree was burned at the base. I am no longer on campus often but on December 3, a month after the fire, a friend and I saw the damage first hand. We passed by Davie Poplar on way to Franklin Street for lunch before seeing the Playmaker production, Dot. **Note: I read the damage is superficial and the tree is expected to be ok, but it will be more clear in Spring. Reports indicate the perpetrator is receiving help. This entry was posted in garden and tagged Davie Poplar, wordless wednesday on December 13, 2017 by pbmgarden.